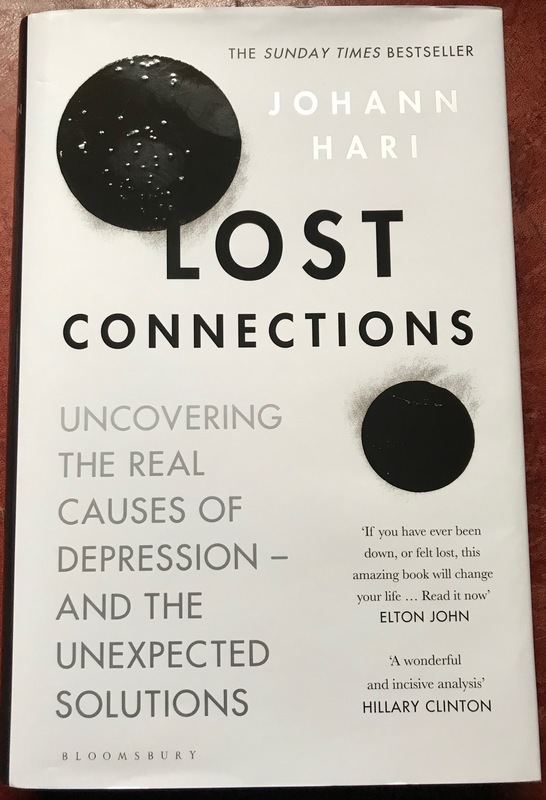 I thoroughly enjoyed reading Johann Hari’s book, Lost Connections, about his journey out of the medication trap surrounding depression. I’ve been recommending it to anyone I know who seems to have been struggling with similar issues. A close friend in Australia was initially intending to borrow the book from her library but the waiting list was so long, even though they had several copies in stock, she gave up and bought her own copy, which she is now lending to others. This gives a pretty clear indication of just how many people in our society are fighting these same battles. For some reason I never found time to do a proper review of his book, and things have moved on since then, but I thought it was still important to mention it here before I move onto to fresh woods and pastures new. So, what strange tracks have I been wandering along recently? Three recent books kept me hooked from start to finish, a pretty unusual state of affairs as my habit is to move from uncompleted book to uncompleted book, sometimes only coming back to finish the first one in the sequence years after starting it. Not quite so this time. I obviously got a lot out of the first two books, my most recently purchased. I won’t be dwelling on them at great length though. They both tackled closely related subjects in slightly different ways. It is perhaps no coincidence that insight as a source of knowledge is stressed most in the traditions the West finds least philosophical. Western philosophy’s self-image has largely been constructed by distancing itself from ideas of the philosopher as a sage or guru who penetrates the deep mysteries of the universe like some kind of seer. This distancing has blinded it to the obvious truth that all good philosophy requires some kind of insight. One problem I as a Westerner have understanding this is that the primary connotations of aestheticfor me concern art,… But the original, broader meaning of aesthetic is ‘relating to felt experience’… It was only later in the nineteenth century that the meaning ‘concerned with beauty’ became common. To say that Japanese philosophy is aesthetic rather than conceptual is not primarily to say that it is concerned with the appreciation of beauty – artistic, natural or otherwise – but that it centred on the experiential. He spreads his net very widely over a number of topics and a vast range of traditions. As does Neil McGregor in his book, Living with the Gods: on beliefs and peoples. Although Braggini dealt with spiritual and moral systems of thought, McGregor is more focused on religious traditions. He has a lighter touch and uses colourful illustrations to bring his points to life. He deals with important issues that resonate across traditions such as (page 385) ‘the growing trend towards literalist readings of holy texts,’ which need to be taken poetically or mythically. This trend reinforces the tendency we are seeing across the world of faiths and ideologies to develop ever fiercer levels of conviction. Given that both books cover such a wide spectrum of beliefs and world views, it was a shade disappointing to find that they neither of them mentioned the Bahá’í take on some of their issues, even though it would have been relevant, and one of them even quotes from a book by Christopher Bellaigue, The Islamic Enlightenment: the modern struggle between faith and reason,that doesn’t fall into that trap. More of that next time. What issues do they each raise on which the Bahá’í perspective might have shed some light? A couple of examples will have to suffice. Braggini deals at some length with the complex issue of the relationship between the individual and the community. What might the Bahá’í point of view add to this? Human society is composed not of a mass of merely differentiated cells but of associations of individuals . . . As social organization has increased, the scope for the expression of the capacities latent in each human being has correspondingly expanded. Because the relationship between the individual and society is a reciprocal one, the transformation now required must occur simultaneously within human consciousness and the structure of social institutions. . . in the achievement of human progress, the interests of the individual and those of society are inextricably linked. . . .Concern that each human being should enjoy the freedom of thought and action conducive to his or her personal growth does not justify devotion to the cult of individualism that so deeply corrupts many areas of contemporary life. Nor does concern to ensure the welfare of society as a whole require a deification of the state as the supposed source of humanity’s well-being. Far otherwise: the history of the present century shows all too clearly that such ideologies and the partisan agendas to which they give rise have been themselves the principal enemies of the interests they purport to serve. Only in a consultative framework made possible by the consciousness of the organic unity of humankind can all aspects of the concern for human rights find legitimate and creative expression. . . . Present-day conceptions of what is natural and appropriate in relationships — among human beings themselves, between human beings and nature, between the individual and society, and between the members of society and its institutions — reflect levels of understanding arrived at by the human race during earlier and less mature stages in its development. If humanity is indeed coming of age, if all the inhabitants of the planet constitute a single people, . . . — then existing conceptions that were born out of ignorance of these emerging realities have to be recast. 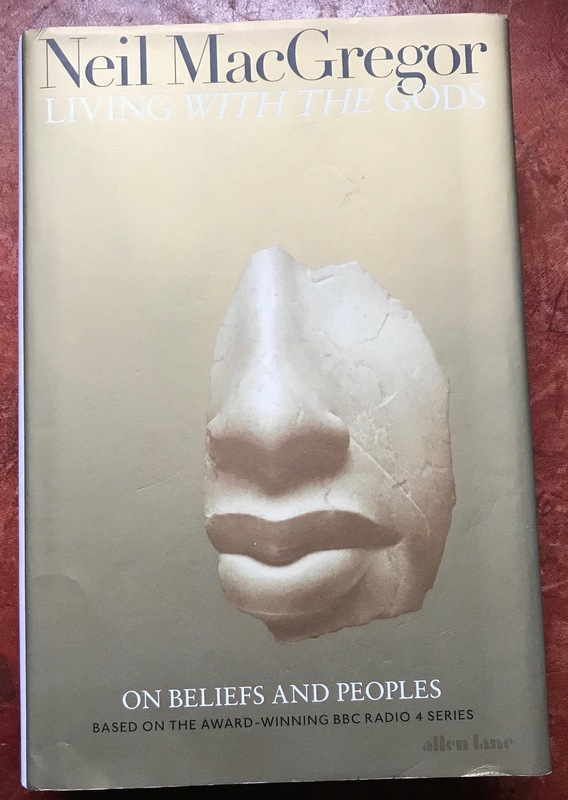 I have cherry-picked key points from across a number of pages to try and illustrate that this perspective is adding something significant into the mix: first, the idea of the global family of humanity and, secondly, the notion that we have an understanding of our relationships that has evolved in the past but now needs to evolve far beyond its current level. The welfare of any segment of humanity is inextricably bound up with the welfare of the whole. Humanity’s collective life suffers when any one group thinks of its own well-being in isolation from that of its neighbours’ or pursues economic gain without regard for how the natural environment, which provides sustenance for all, is affected. A stubborn obstruction, then, stands in the way of meaningful social progress: time and again, avarice and self-interest prevail at the expense of the common good. Unconscionable quantities of wealth are being amassed, and the instability this creates is made worse by how income and opportunity are spread so unevenly both between nations and within nations. But it need not be so. However much such conditions are the outcome of history, they do not have to define the future, and even if current approaches to economic life satisfied humanity’s stage of adolescence, they are certainly inadequate for its dawning age of maturity. There is no justification for continuing to perpetuate structures, rules, and systems that manifestly fail to serve the interests of all peoples. The teachings of the Faith leave no room for doubt: there is an inherent moral dimension to the generation, distribution, and utilization o f wealth and resources. This not only refers to the same idea of human progress, but also extends its reference to the relationship between the individual and society from the socio-political sphere to the economic one. That’s the main reason why I feel the absence of an awareness of the Bahá’í perspective significantly reduces the sought-for inclusiveness of this otherwise excellent book. 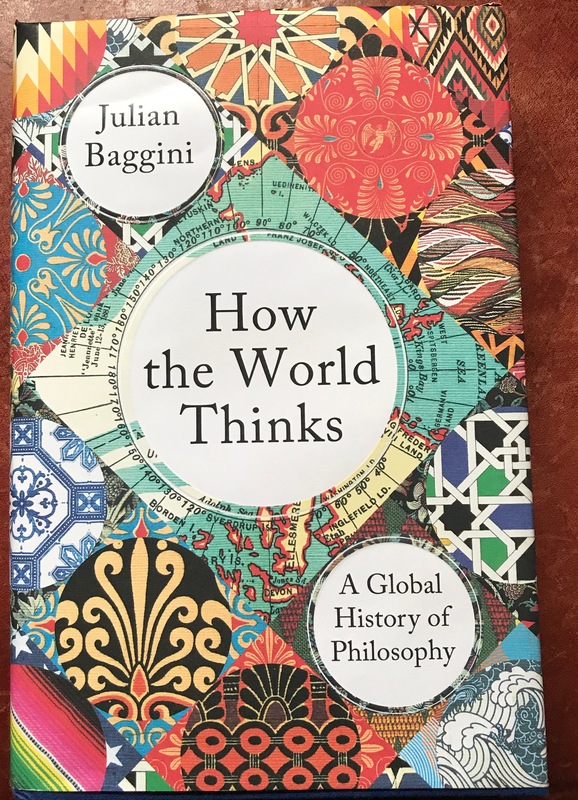 He is the writer who refers to Bellaigue’s book in a discussion of Islam (page 48), which means he should have had some idea of where the Bahá’í Faith is coming from. This is not so significant an omission, perhaps, given the nature of his book, but it indicates that he fails to mention a monotheistic faith that has enshrined an inclusiveness that hopefully will avoid the intolerance trap. The last book in today’s list is Bellaigue’s on the Islamic Enlightenment.